The gunners have announced their Arsenal lineup to face Atletico Madrid today and what is surprising is that Mkhitaryan has been benched. 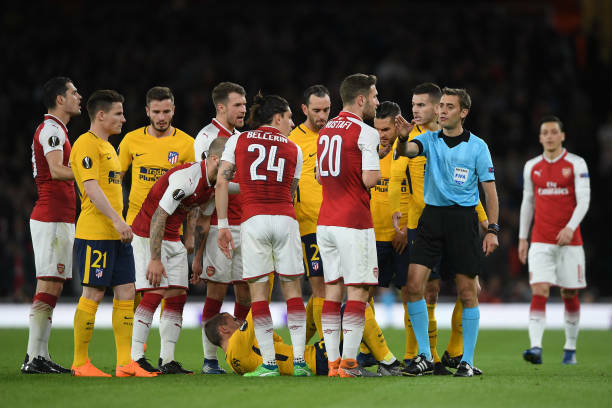 The gunners will be playing against Atletico Madrid in an hour from now as they end their Europa League semi final tie against the Spanish giants today after they made a 1-1 draw at the Emirates Stadium. The club has announced the lineup via it’s official social media accounts and to the surprise of the Arsenal supporters, Mkhitaryan has been benched. Both of the clubs have come out with their best squads because it’s an important match for both of them.